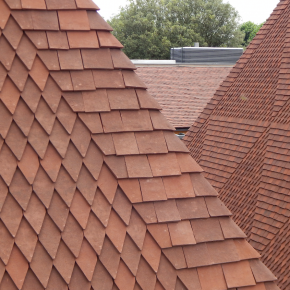 King’s College Music School in Wimbledon was proclaimed outright winner in the best ‘Commercial Property Application using Roof Tiles’ category, using Tudor Roof Tiles working with Avonside Roofing Group. 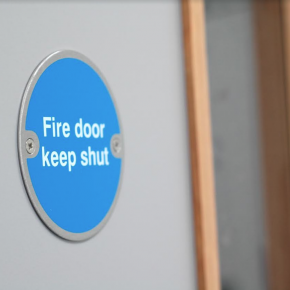 Organised by RCI Magazine, the awards look to reward excellence and highlight successful partnerships between architects, manufacturers and contractors, as well as the highest standards of product quality and workmanship. 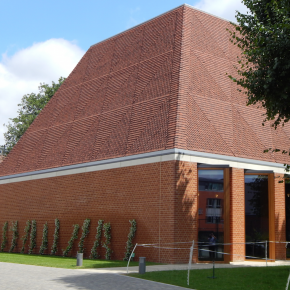 The new £10 million Music School, designed by Hopkins Architects Partnership, achieved deserved recognition for its use of Tudor’s handmade clay roof tiles, which were chosen over machine made alternatives for their subtlety of tone and texture variations. 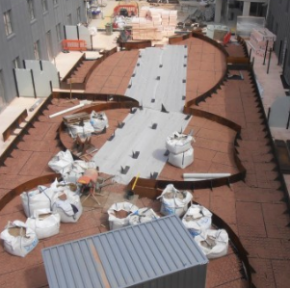 As the building was located in a conservation area, the architect used a palette of traditional materials in an innovative and modern way with a stunning triangular pattern on the roof of the new concert hall and rehearsal rooms created solely from the distinctive shapes of bespoke roof tiles. 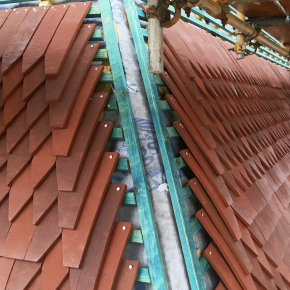 To create the complex geometric pattern, the roof tiles were all made by hand to a size of 400mm long and 100mm wide, with a curvature that was within very small tolerances. 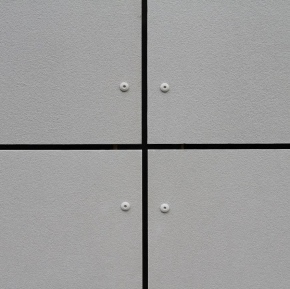 Six different designs of bespoke tiles, in two colour-ways of each, were used and bespoke hip tiles were specially created with meticulous attention to detail from architect’s 3D drawings. 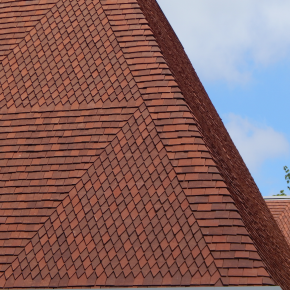 Paul Lythgoe, MD of Tudor Roof Tile Co Ltd, commented: “We are delighted to have received this accolade in the inaugural Pitched Roofing Awards, which highlight the very best workmanship in the industry. 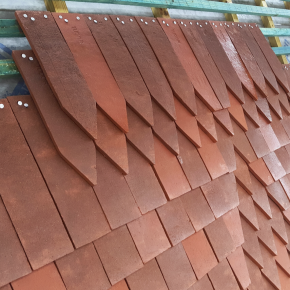 In recent years, the company has scooped several accolades for the quality of its products, including the ‘Best Roofing System or Product’ category in the 2018 Build It Awards for its ‘Bespoke Handmade Clay Roof Tiles’ and a 2014 Build It Award for its authentic standard range of peg and plain tiles.